← …a few quickie quotes…. Once again it’s LATE (or ‘early’ depending on your perspective!) & of course, Virginia the Blogger had plotted to share a picture of Mt. Tabor (re: the Gospel today of the Transfiguration).. but since that picture must be FOUND (it’s around here somewhere, but not, as hoped, already scanned into The Computer…) we shall just have to leave that for Another Day.. INSTEAD, here’s something kinda weird-ish that happened on the way driving home from church this evening. Have you ever felt like the sky was falling out? Like, from beneath you? …when all those fears you scamper around just hit – BLAM – & your heart all of sudden feels squashed under the weight of the weighty stuff weighing your spirits DOWN? amen. … & so my heart said, “AMEN”… & the Dark Clouds Lifted & there was joy, instead… Kind of like the flowers in this pic with desolation all around. This entry was posted in Lent, Sunday-ish Reflections and tagged faith, inspriational quotes, Lent, philip melanchthon, prayer, Proverbs 3:5-6, spirituality, Trusting God. Bookmark the permalink. 8 Responses to …perplexity & prayer…. Sheer dependence is healthy, but scary! Mark – thanks for the quote. i like the image of pressing closer to the Heart of Jesus. Beautiful! Prov. 3:5-6 was what my father gave to me when I set out to work in Jerusalem, and it’s mighty and powerful. 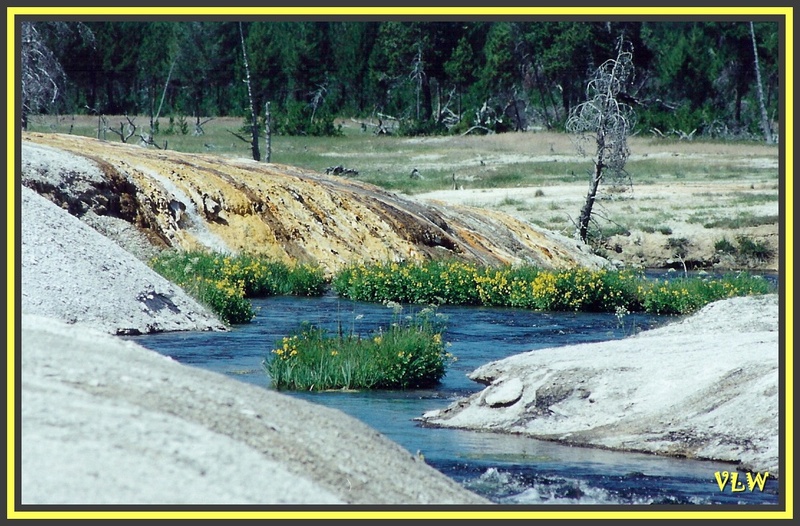 Also recognize your picture of Black Sand Basin from your trip here to Yellowstone! Looking forward to your Mt. Tabor pic, so keep looking. Blessings! Thank you so much Carol-Jo. Prayers are so welcome & needed (!!) … God is so good (all the time) as Most of the Time the sky is Rather Blue & stays up high (vs. collapsing under me…) But, He’s there when it’s blue & He’s there when i’m unglued (to glue the pieces of our hearts back together again.) Yaaaaay God!